Seth Meyers didn’t have a new “A Closer Look” segment on “Late Night” Tuesday night, but that doesn’t mean Meyers skipped making jokes at Donald Trump’s expense. His monologue was filled with barbs pointed directly at Trump, from his family separation policy to his claims about German crime statistics to a loophole that Trump himself offered up in a tweet that Meyers joked is the key to finally getting rid of him. Since Meyers’ monologue is a series of quick hitters every night, we’ll just organize the quotes by what joke he’s making. 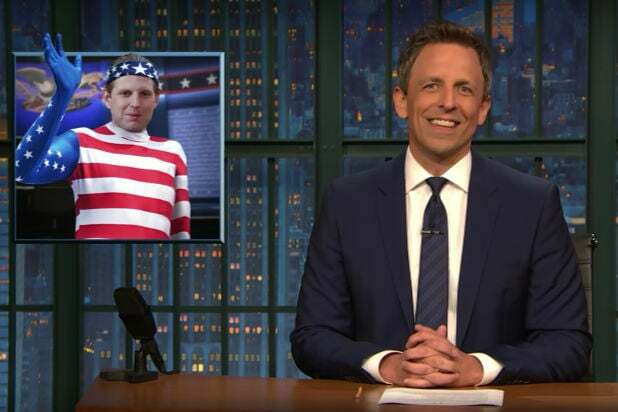 You can watch Seth Meyers’ monologue from Tuesday’s episode of “Late Night,” which also includes a few non-political jokes, in the video embedded at the top of this post.